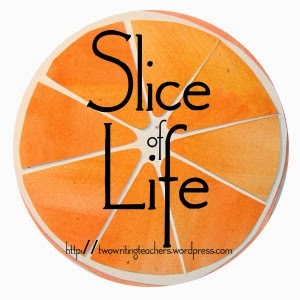 Thank you to Two Writing Teachers for hosting Slice of Life Tuesdays. Please visit their site to read more Slices, write your own, or leave a comment or two. The last week of #clmooc's challenge was to create a 5 image story. 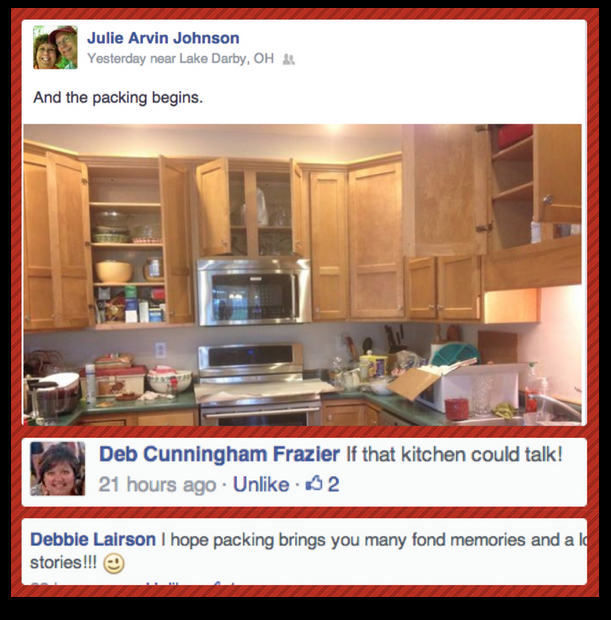 This story, more than 5 images, was spurred by a couple of comments left on my FB post about packing up my kitchen. 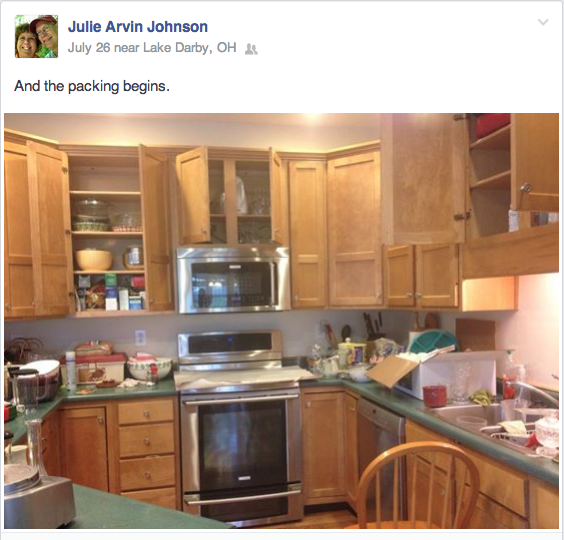 You see, we are moving from the house we raised our children in and the time has come to start packing. Lots of emotions run through me. A member of the CLMOOC community mentioned that often these stories are shared after the fact, when one can look back and laugh. She wondered if it helped me to tell the story now. It makes me wonder, why did I choose to tell this story now? Why did I choose my favorite room to pack first? Did I know it might be the hardest to do? Tomorrow, I will share my thinking about the process of creating this story. For today, I will let the story speak for itself. Take your time as you go through the images and listen to the words of the song. Thank you to Two Writing Teachers for hosting Slice of Life Tuesday. Please visit their site to read other Slice of Life stories, post your own story, or leave a comment. He took her hand, this taciturn man. She'd always been the one with the soft heart, while he walked through life seemingly unaffected. His quiet ways, sometimes maddening, gave the impression of nonchalance. And now, I wonder. Has this patient, thoughtful man, been hiding? Have I misunderstood all this time? Because now I see he also has a soft heart and he is, in fact, affected. 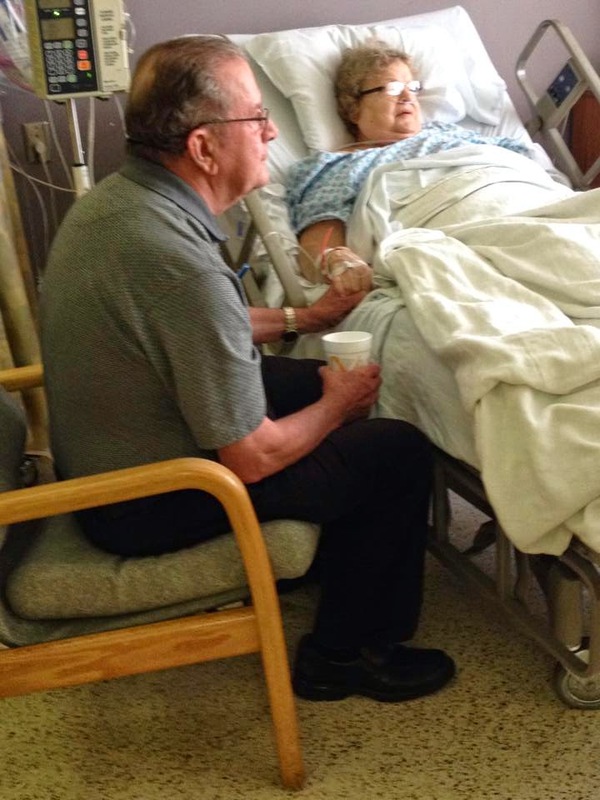 He shows me what love looks like after 53 years. Slice of Life...Why Digital Writing? Thank you to Two Writing Teachers for hosting Slice of Life. Visit their blog to read other slices. 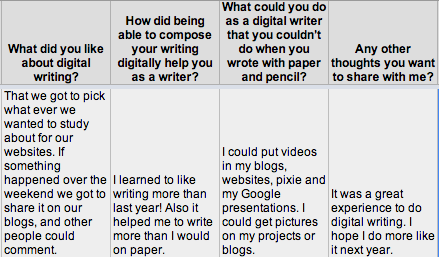 After school let out, I decided to ask my students about their experience as digital writers. This past year, I felt like I had reached new heights with my young writers. They were not only writing, they were making decisions that only digital writers make. The best part, they could articulate the reasoning behind those digital moves. The best, best part? Every single one of my students was engaged. Every single student had success. 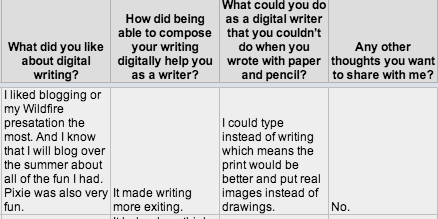 Writing digitally gave my students opportunities that traditional writing did not. They connected with others outside of our classroom walls. While we've always written for authentic purposes and audiences, when my students shared their writing publicly, their world opened up and they felt the thrill of connecting with others who were interested in reading their writing. In the same way, they shared their messages in a variety of ways: blogging, google docs, website creation, presentations, etc. It got to the point that they could decide which tool was going to help them best express themselves. 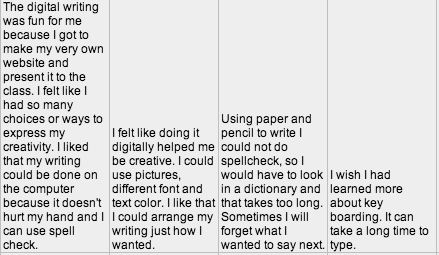 I finally had a chance to sit down and read their responses to the Google form I sent out. 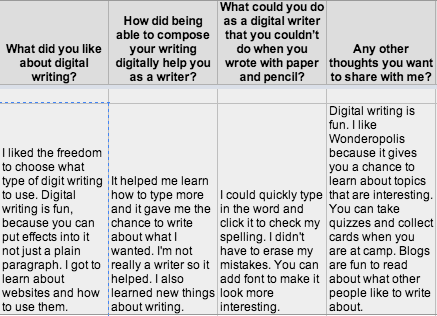 I only heard from 8 out of 21 kids, but what they had to say made me happy that we had a digital writing workshop. What stands out to me? Working alongside my young writers in a digital writing workshop has only strengthened my beliefs. Having conversations around mentor texts is always important in both traditional and digital writing. Kids are smart and make smart moves when we give them support and choice (I already knew that...I just had to stress it). It's not about the tools, it's about the meaning. It's important to help young writers understand the purpose of different digital tools and how those tools can help them get their meaning across to others. Authentic purpose and audience is key to successful writing. Time for exploring, processing, and creating is essential. As the new school year draws nearer, I'm a little saddened that I won't have my own classroom. I'm counting on teachers inviting me into their rooms to continue this work, because there's still so much I want to do. Thank you to Margaret Simon for hosting DigiLit Sunday. 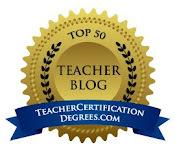 You can visit her blog to read the way other educators are using technology. This week's #clmooc challenge was to hack a piece of writing. It sounded intriguing to me from the get go and I looked forward to trying some new things and being more involved in the community. Alas, life happened, and I found myself not having time until yesterday when my husband and I had a 3 hour drive to my in-laws'. I used that time productively and had fun. This week, I thought about how many times I make a hack (is that the correct way to say that? )...my writing, my cooking, etc. I'm constantly making changes. I really got to thinking about hacking food when Annie's friend, Max, visited us this week. Max is from Mexico and he and Annie met while they were in Turkey as exchange students. We got to talking about tacos (don't get him started on Taco Bell) and how much the Americans have made changes to the way tacos are made in Mexico. I guess we could say that Americans have hacked authentic tacos. I digress. 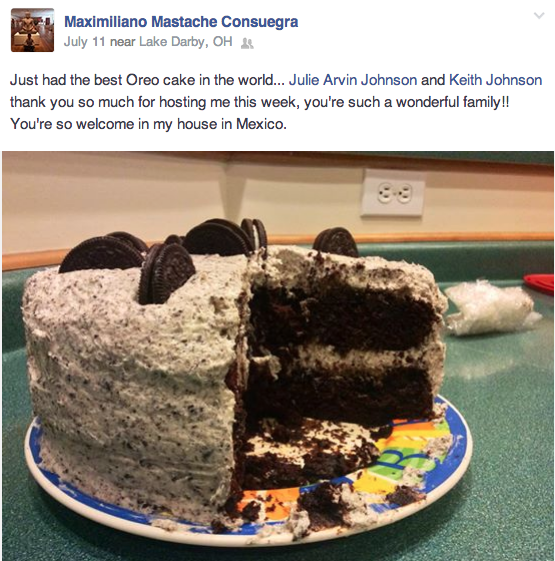 I knew Max was a big fan of Oreos, so when I saw this recipe, I had to make it for him. Since I'm a "from scratch" kind of girl, I modified the recipe a bit, which I guess means, I hacked it. Earlier this week, I read Kevin's post about remixing with X-Ray Goggles with interest. I started to wonder how I could show my audience how I hacked the Our Best Bites recipe. Since I knew my time was limited, I decided to play with Skitch (something I've been meaning to do for a long time). I knew it would be relatively easy and I now had an authentic reason to use it. (There seems to be a theme of authenticity going on here). I took screen shots of different parts of the recipe, opened the photos in Skitch on my iPad, and added arrows and text to highlight my thinking. If I can make something from scratch, I will forgo using a mix. Anything with chocolate chips has to be a winning recipe. Add Oreos to the mix and you've gone way over the top. Cook's Illustrated is my go-to for most recipes. Quadrupling the recipe for the icing meant that I was going to be using a pound of butter. That's a lot of butter! Max loved the cake and was very appreciative that I made it for him. With those thoughts in mind, I "Skitched" the screen shots that would help me get my message across, including Max's Facebook post showing the cake after we cut it. Now, how to put it all together? I used a new slideshow app (Perfect Video) to create a slideshow and added "If I Knew You Were Coming, I'd Have Baked a Cake." I spent over an hour trying to find the perfect song to go with my slideshow. There are a lot of songs about cake (many of them hip hop) and there's even a group called Cake. Who knew? I didn't really find what I was looking for, and decided to stick with "If I Knew You Were Coming..."
Time to go through the process is imperative. I consider myself a half-way decent writer when it comes to writing about my classroom. Generally, the ideas flow pretty easily. The kind of thinking and writing required for #clmooc is different for me. I need time to consider the possibilities and to draft in my head over and over again. It's made me ask myself if I allow that kind of time for my students, especially those who struggle with getting ideas down on paper. Mentors are necessary. I find that I have a pattern while participating in these Make Cycles. I spend time reading different blogs and posts within the community. I think about how I might use what I've learned from others in my own work before I begin. There are many digital moves being made that might not be apparent to the audience. It's important that we give our students time to reflect and we take time to talk to them about their thinking as they create. Below, you will find my slideshow. And if you want to make a really good cake, use this recipe. It was very yummy! Thank you to Two Writing Teachers for hosting Slice of Life every Tuesday. I invite you to visit their site and read other slices. Tonight was a night that I think will bring a smile to my face for a long time. John and Donna who we first met 4 years ago when they were counselors for our very first exchange student Sana. They not only supported us each time we hosted a student, they have become good friends. Fiona who lived with us 3 years ago for the first part of her exchange. She's visiting the States from Germany. We haven't seen her since she went back home. Our son Zach drove up from Cincinnati to see Fiona. Max, Annie's good friend who is from Mexico and she met while she was on exchange in Turkey. He's visiting us for a week and he and Annie have been inseparable. The four (older) adults sat back and listened to the 4 young adults laugh, speak in English, speak in Spanish, attempt to speak in German, and laugh some more. In fact, when it was time to leave the restaurant, we didn't want to say good-bye, so everyone came back to our house. We would never have had this time together if I hadn't read an email asking for host families and called out to my husband 4 years ago, "Do you care if we host an exchange student?" He said, "Let's do it." Our world expanded from that moment on. So there we were, celebrating old friends and new friends at Texas Roadhouse ~ Fiona's favorite American restaurant and relishing every minute. I wasn't going to do it. I'm plenty busy. In fact, I'm trying to not be so busy. 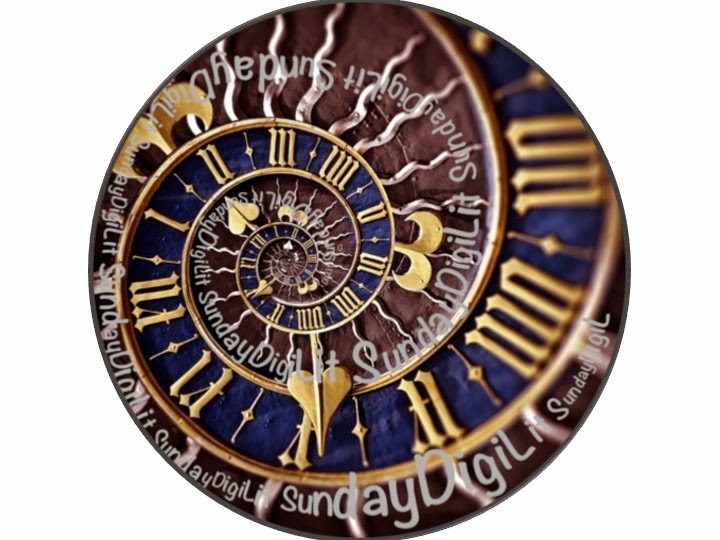 I've got lots of different writing going on...participating in #clmooc and DigitLit Sundays and I do my best to do Slice of Life and Celebration Saturdays. 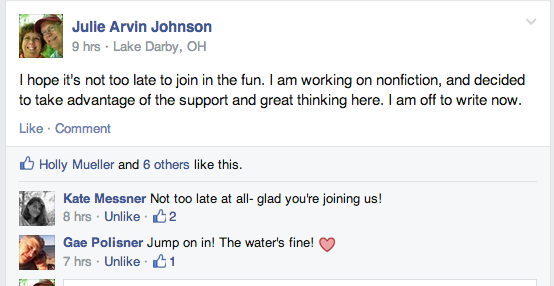 I am part of an online teacher writing group hosted by Two Writing Teachers. Oh, and I'm doing the Teacher ThingLink challenge. I'm doing plenty. Then I started reading others' posts about joining in. 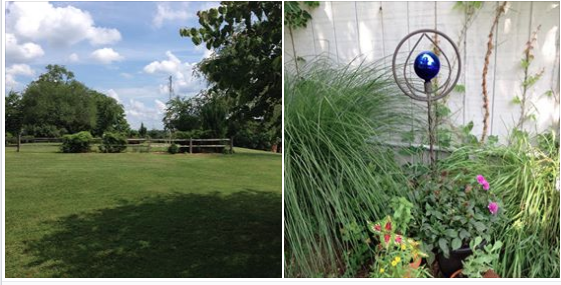 Links to Kate Messner's blog pop up on Twitter and Facebook. I'd check them out, but then tell myself that I didn't need to add anything else to my plate. "Oh, this would be fun!" "No, no more writing groups." Deep down, I knew that I wasn't going to be able to stay away. I read Jen Vincent's post last night and felt myself waver. I read Kate's post this morning and I was convinced. I wanted to be part of Teachers Write. So right then and there, I clicked, "Join." You see, I find a lot of joy in writing. And I'm having a blast with all the different kinds of writing I'm doing this summer. Much of the writing I do is about my practice: all nonfiction. I don't do much writing just for myself and I decided that I wanted to stretch myself just a bit more. Kate's mini lesson seemed doable and just the kind of writing I want to do more of. I know that I'll be able to take what I learn back into the classroom to teachers in my building too. (I keep forgetting that I have a different job this school year). Thanks to Ruth Ayres for providing this space for others to share their celebrations. Please visit her site to read other celebrations. As I posted earlier, I have been participating in the Connecting Learning Summer of Making. Each week provides a new "assignment" and this week's is all about playing/making games. Now, I'm someone who is really good at word games, but when it comes to sports, not so much. I was the girl who, when playing baseball with the neighborhood kids, pitched the ball and then hit the ground and covered my head so that I wouldn't get hit by the ball. (I know, not such a great plan). I was the last to be picked for teams, the first to get out when playing Dodgeball (don't get me started on Dodgeball). To keep with tradition, the only C I ever got in college was in bowling. Again, this week's make was a little challenging for me. I don't know much about the gaming culture, although I'm willing to learn. I decided to just join some of the games others posted. Kevin Hodgson invited us to Folding Story, which was really fun. He began the story and others added to it. After someone adds up to 200 characters, they "fold" the story. The next person, can see only what the previous person wrote, and nothing else. Once everyone has added to the fold, Kevin was able to produce a PDF where the story "unfolds" and you can read everyone's additions. It's definitely something I want to try with kids. Later in the week, someone posted on the Google+ community, "What kinds of games do you play in the car?" Since we were traveling to my in-laws yesterday, it was the perfect time to come up with some new games to play. 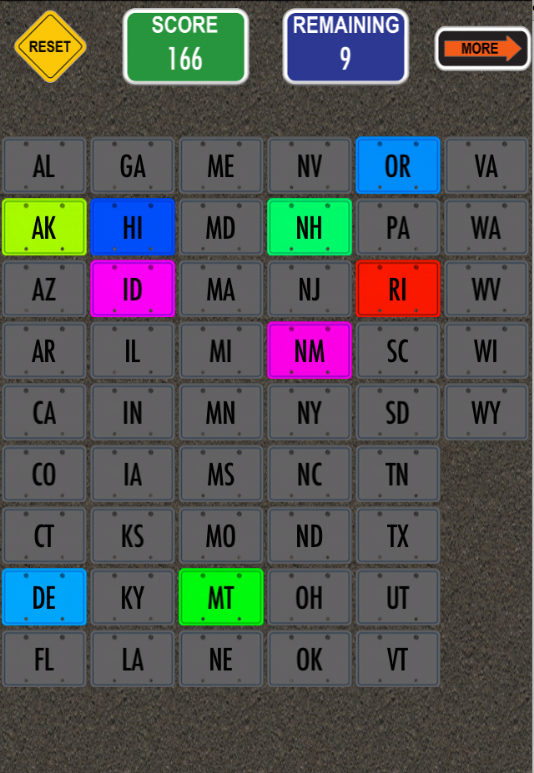 I already have 41 of the 50 states on my License Plate App. As we drove by a huge RV, I turned to my husband and asked, "What's their story?" I encouraged him to make up a story about the people in the RV. Who are they? Where are they going? What have they been doing? We went back and forth, pointing out trucks, sports cars, and family minivans. Our stories became funnier and funnier. Then Annie joined in. She told us about a game she and my nephew play, "Guess who's driving?" While still driving behind a vehicle, we guessed who was driving (maybe a bunch of guys on their way to the beach or a grandpa on his way to visit his grandkids). Then, as we drove by, we'd whip our necks around to see if our predictions were correct. Our car was filled with belly laughs. It felt good to be silly and laugh. I don't do it enough. It's been a good reminder that it's important to make time to play, especially when you're a grown-up. 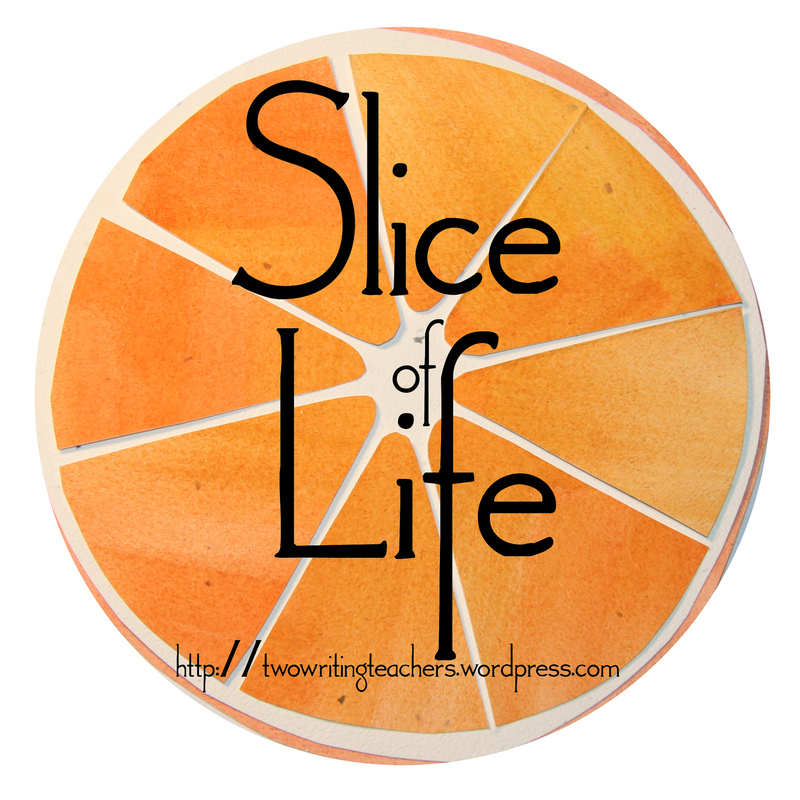 Thank you to Two Writing Teachers for hosting Slice of Life Tuesdays. Please visit their blog to read other slices and leave a few comments for the other bloggers. I sighed with resignation as I looked over at my garden from the patio last night. "Here we go again," I thought to myself. I was upset as I looked at towering weeds and felt defeat grab hold of me. I had told myself that this year was going to be different. I was going to keep on top of the garden. I envisioned a Better Homes and Garden kind of backyard oasis where my raised beds would be weed free as they provided the perfect environment for succulent vegetables to ripen in abundance. Instead I was staring at looming weeds and hours of work ahead of me. This was not going to be fun. 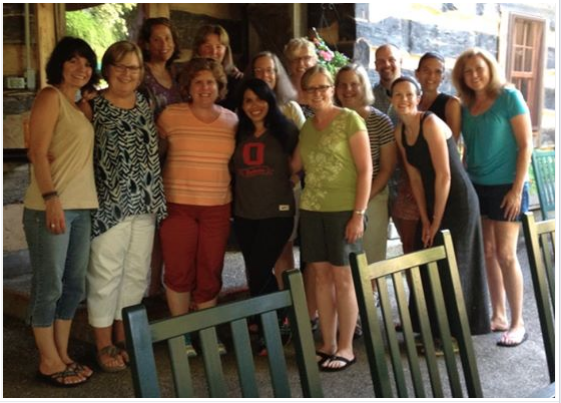 Last week I was fortunate to attend a writing retreat for contributors to Choice Literacy. Brenda Power is the perfect editor turned hostess as she creates an environment that is free from distractions so that we have time to slow down, think, write, and eat a lot of good food that we don't have to cook or clean up. what brings happiness - were things I had pondered over the last year. I wondered if she had somehow peeked into my life and designed this retreat just for me. (Not to worry, I'm not vain enough to really think that. We all need time to renew, regardless of our stage in life). She tasked us with finding our own beautiful question. I dragged the hoe behind me as I trudged out to the garden last night, thinking about the retreat. The remnants of the messages I heard nudged me forward, giving me hope that I'd be able to rescue my garden from the stranglehold of chickweed and who knows what else was out there. I couldn't bear to begin with the large bed in the back, so I got to work in the smaller beds. Much to my surprise, they weren't as bad as I thought they would be. I could do this. I hoed, I pulled, I dug. 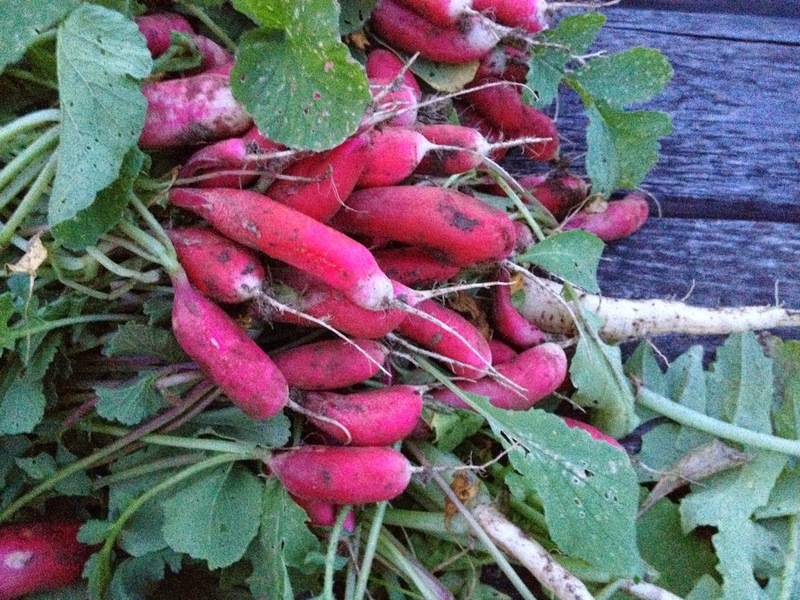 Then I got to the radishes. Oh my! I hadn't thinned them at all and they were crammed together, pushing against each other for survival. Larger red tubes shoved against the smaller ones as if to say, "Get out of my way. I'm in charge here." "This was my life up until last year," I thought to myself. I had jam-packed my life with busyness. Since I didn't have kids to raise anymore, I busied myself with work. I read professional books. I signed up for conferences. I scheduled every single minute with something to do that would push me forward. And then in May of 2013, crisis hit and I knew I had to make changes. My busyness came to an abrupt halt. I began to ask myself whenever I wanted to start a new project, "Why am I doing this?" What is waiting for me at the top? What am I going to do once I get there? Am I enjoying the climb itself? Should I slow down, speed up? What am I leaving behind, down below? Such great questions. Although I didn't ask these questions so eloquently, these questions are the backbone of what I have been asking myself this past year. In order to unearth some answers, I gave myself permission to not be so busy. I stepped back...I said, "no," to some opportunities, I made time to go for walks and to just sit and be quiet. Oh, that was hard! But in the process, I discovered joy. After thinning the radishes, I prepared myself for the back bed. From where I stood, the weeds looked to be about hip high. Dread and determination battled in the pit of my stomach as I trudged forward. 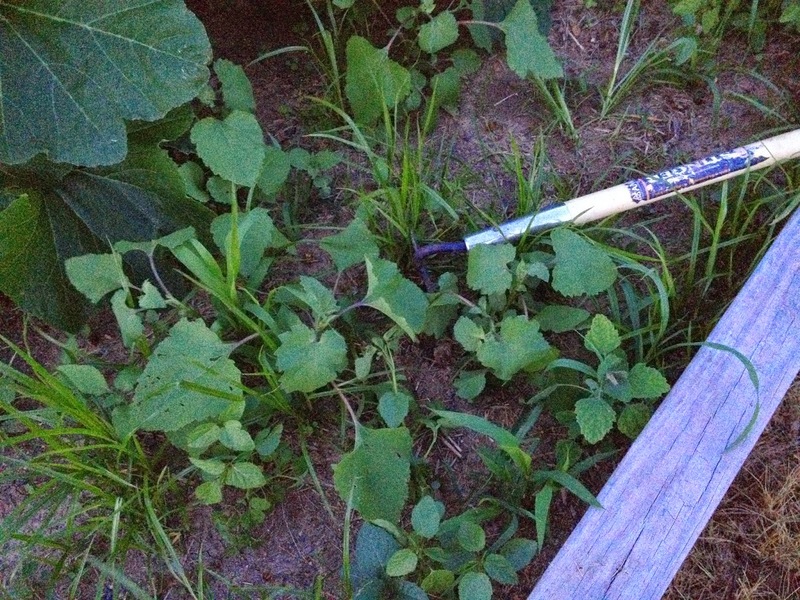 Pulling grasses and wide leafed invaders from the ground, I realized that what I originally thought were weeds, were actually my zucchini and summer squash plants. 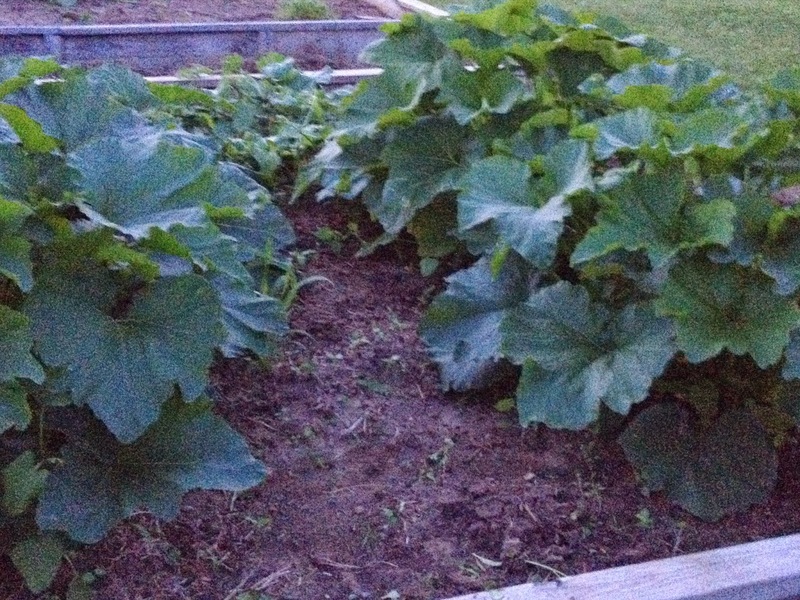 Watermelon and cantaloupe wound their way through the bed too. Yellow blossoms peeked through the canopy of green, bringing promises of a heavy harvest. In the past, I had crammed my vining plants into the small beds, thinking that they would have enough room. This year, I decided to put these plants in a bigger space to see what would happen. They were growing by leaps and bounds. And there I was again...comparing myself to my garden. When I gave myself time and space this year, I grew. I discovered joy again. I quit trying to climb the mountain and I paid attention to what brought happiness to my life. I've had a blast writing with the other teachers for the Troy Hicks' book. I rediscovered my joy in creating meals as I experimented with ingredients. I read books for pleasure and met new authors. I had fun exploring digital writing with my students. I relished quiet times with my husband. I found time to garden. Which brings me to completing Brenda's assignment - my own beautiful question. I struggled for a bit, and kept coming back to my journey this year. I had come a long way and I didn't want to veer from that direction. 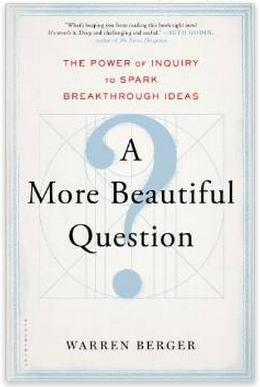 What question would propel me forward? How do I ensure that I am making time to do the things that bring me joy? What will I discover as I make time to do the things that I enjoy? As you can see, there are still weeds to eradicate. There always will be. I've come to accept that there will always be those weeds in my life too. Things will come up, I'll be overwhelmed and overcommitted. But this time, there's a difference. I've tasted the joy. I've experienced what it feels like when I slow down and give myself space. I don't want to lose it. So, I will continue to ask myself, "Why am I climbing this mountain?" "Am I enjoying the climb?" "Do I need to slow down or speed up?" "Am I making time to do the things I love?" And most importantly, "What new things will I discover on this journey?" Thank you Brenda for this incredible experience. For added inspiration, watch the documentary Happy by Roko Belec where he investigates the science behind happiness.